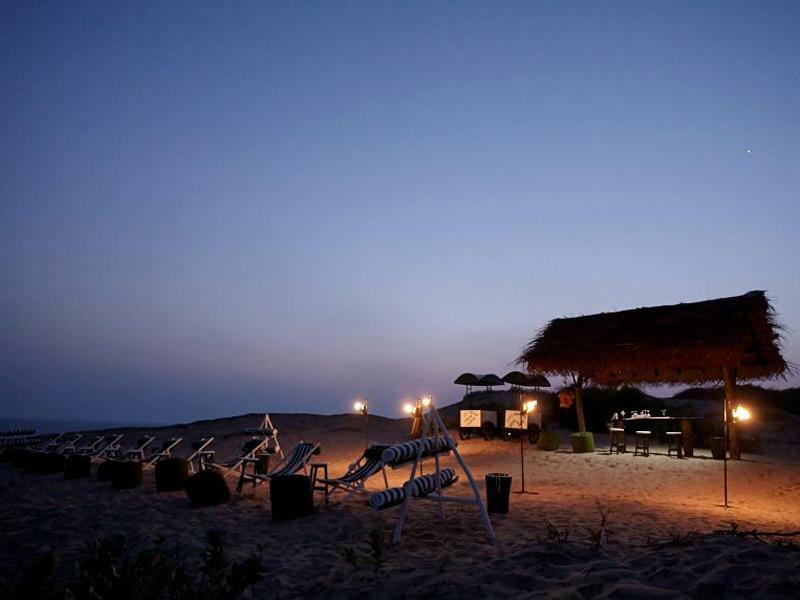 If you like long rides then Arugam Bay is the ideal destination for you. 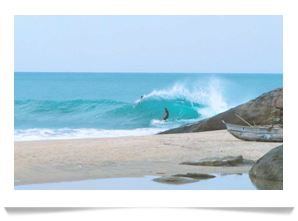 It has also become a bit of a cult destination in South-eastern Sri Lanka among more adventurous surfers who revel in its mostly right hander point breaks. One of these waves, The Point, sweeps out over the whole bay and is on the bucket list of any self-respecting surfer due to the seemingly endless rides it offers on a perfect day. You might want to take a longboard out on some of the regions’ peaks but there is still plenty of room for performative surf. 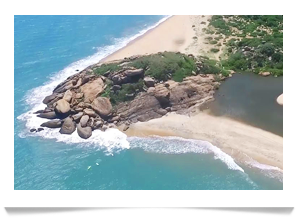 This is where Australian Julian Wilson won his first major competition, when Arugam Bay hosted a leg of the World Qualifying Series (WQS) in 2010. 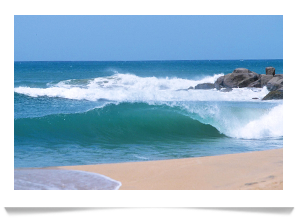 This is also Sri Lanka’s most untouched surfing landscape, rich in wildlife and beautiful views. You can often see wild elephants wandering past Pottuvil beach and the Kumana National Park. Kudumbigala wildlife sanctuary, to the South, and the city of Pottuvil further north are some of the region’s main attractions. May to October is the dry season on the East Coast (Arugam Bay), while the East and West coast suffer the effects of the monsoon. During the rest of the year there are regular showers. Air and water temperatures average 27/28 degrees year round. From April on the swell shifts east towards Arugam Bay. 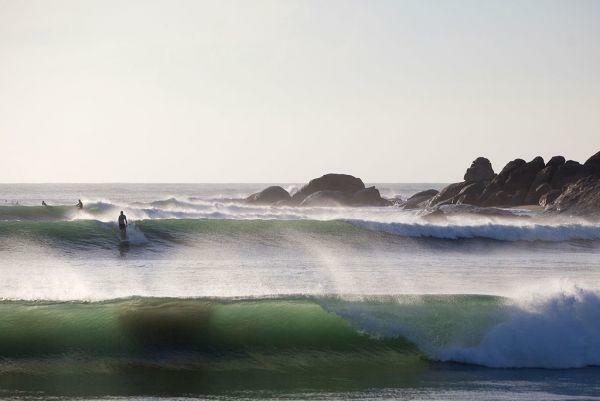 The best season for surfing is May to September. Ten kilometres North of Arugam Bay. This is one of the most consistent peaks in the region and works well with all tides, handling swell up to 12 feet. It needs an Easterly wind in order to kick off perfectly, and even though it is not such a long ride the locals love it. It is also a right hander point break which, on some days, is accessible to beginners and does not tend to get crowded. A few minutes North of Arugam Bay. A right hander point break with some consistency which requires a good deal of experience on the part of surfers. In many ways this powerful wave is the same as The Point, although it has less crowd and works better in mid outgoing tide. When the outside and the inside connect you might be able to ride along for around 800 meters on the same wave. 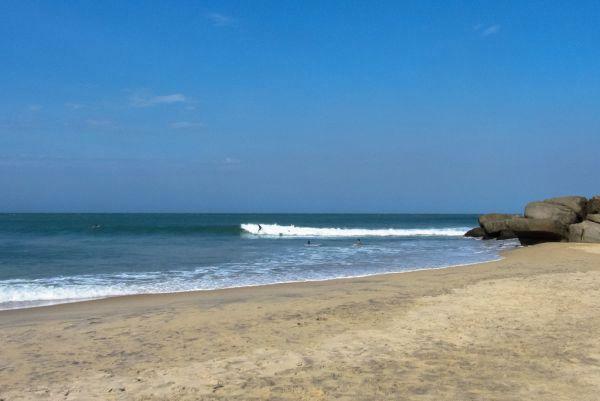 It needs a little more swell than Arugam Bay to kick off and is also a favourite among longboarders. A few minutes south of Arugam Bay, also known as Crocodile Rock. 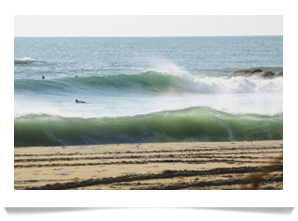 Another right hander point break which works in all tides and is accessible to surfers of all levels of experience. No major hazards or much crowd make this one of the safest surfing waves on the Southeast coast. 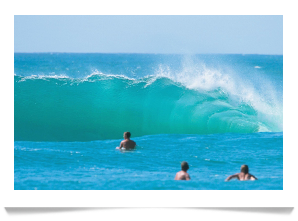 Waves can stretch out up to 300 meters and make for seriously fun surfing. It needs more swell than Arugam Bay and is also a good option for longboarders. The region’s Southernomost peak, an hour away from Arugam and just North of Yala National Park. This is a powerful right hander point break, although somewhat inconsistent. It has three separate peaks, the main one requiring more experience. 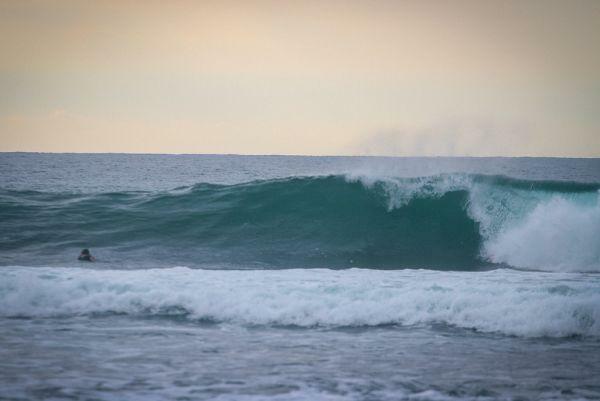 Kicks off perfectly with Southeasterly swell and Westerly wind with waves above six feet and up to nine. Watch out for strong currents and perilous rocks. A little South of Arugam Bay. Despite being quite close to Arugam Bay, this right hander sand bottom point break usually has less crowd. On normal days you can surf up to 150 meters on these fun waves which are accessible to surfers of all levels of experience. Located in Pottuvil, Kottukal Beach House by Jetwing is the perfect spot for a surfing holiday in full comfort. 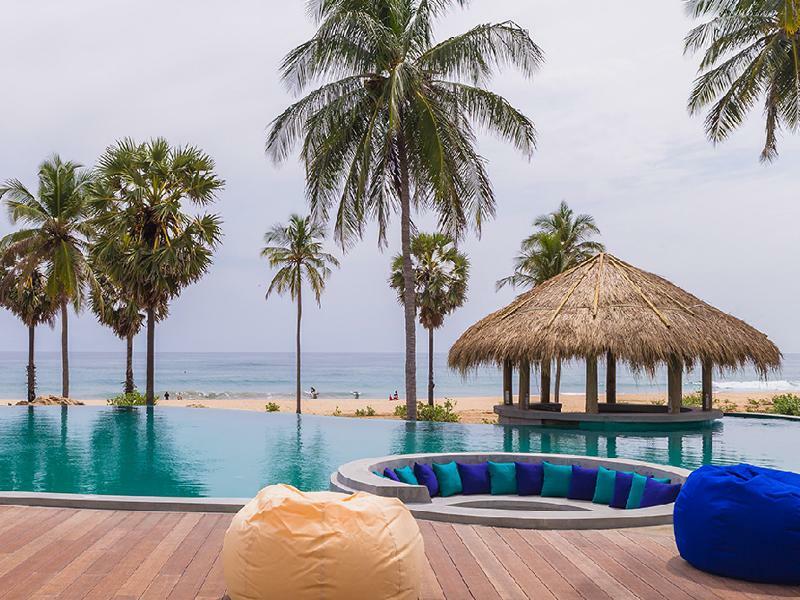 Located by the sea, in the Pacific town of Pottuvil, Kottukal Beach House by Jetwing is only 4km from Kottukal beach, a perfect spot for surfing, swimming and diving. 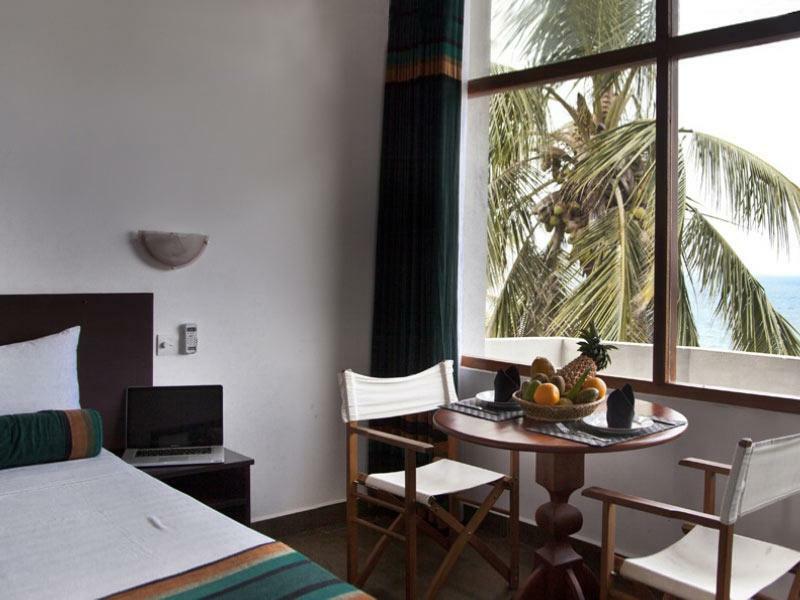 The Bay Vista Hotel is located in Arugam Bay, considered the best wave spot in Sri Lanka, and one of the best in the world.